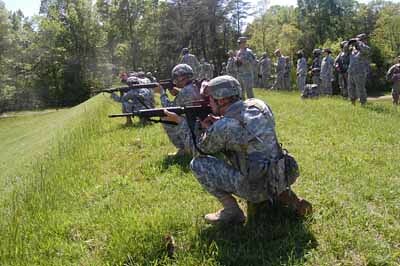 Members of the Army Reserve Marksmanship Program Rifle Team team won the 2012 and 2013 Creedmoor Service Rifle Team match held at Camp Butner, a National Guard post. Individual match winners at the 2013 Creedmoor Cup. 2013 Eastern Creedmoor Cup Matches Service Rifle Champion is SGT Kristoffer Friend. This makes back to back wins by the USAR Marksmanship Team. CPT Kirk Freeman won in 2012. 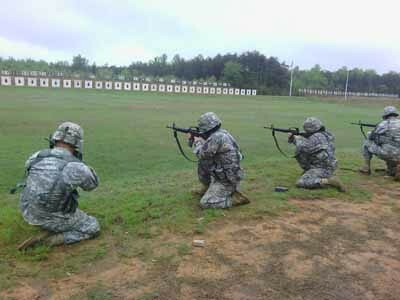 Army Reserve Marksmanship Team with back to back wins! 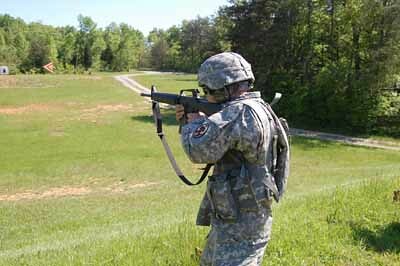 Best Warrior Competitions (BWC) are becoming popular among Soldiers and for good reason. 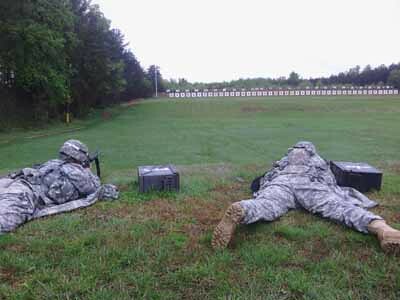 The event tests a wide range of Army skills and pits Soldiers in friendly competition. Competitive events have been long recognized as a positive motivating force for improving ability. The 11th Aviation Command recently held a Best Warrior Competition. 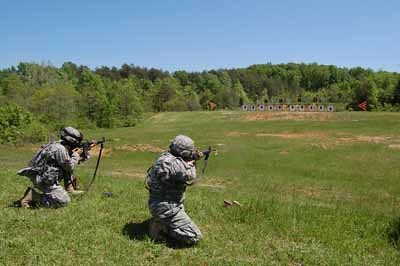 With that background, Staff Sgt Anderson had members of the Army Reserve Marksmanship Program (ARMP) conduct a formal Excellence In Competition event as a scored component of the 11th AVN BWC. EIC events are designed as both a competition and a training event, serving to train and support the war fighter. To earn awards, a Soldier must participate in a recognized EIC event and finish in the top ten percent. Unlike routine qualification, where everyone is expected qualify, Excellence In Competition pits skills against the rest of the field and the bottom 90 percent receive nothing. 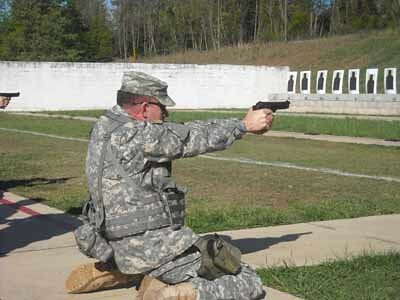 Events that have a restricted roster, such as to a specific unit or command, may only award four leg points to the finishers and only if the shooter does not yet have any points. 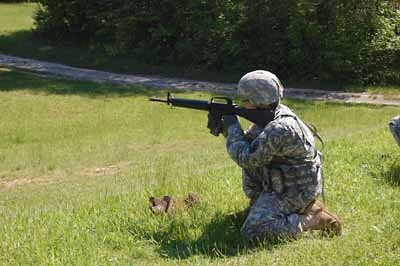 Such events are said to be “baby legs” and a way to get a Soldier started in higher-level shooting. Only events that are open to all comers may award more Leg points and to those personnel having already earned points. Among those in the top ten percent, points are awarded based on order of finish. The first place finisher receives ten points, the top third receive eight points and the remainder will earn six points. Again, those finishing below the top ten percent of all shooter earn nothing. The goal is to not merely pass, but to surpass. Everyone seems to think they shoot expert. Only an event that recognizes the top ten percent can show who the real experts are. The EIC program awards a Bronze medal after earning any number of points, Silver after accumulating 20 points and the Distinguished Rifleman and Distinguished Pistol Shot Badge after earning 30 points. These points can be accumulated any time in a person’s life and are a part of your permanent records. 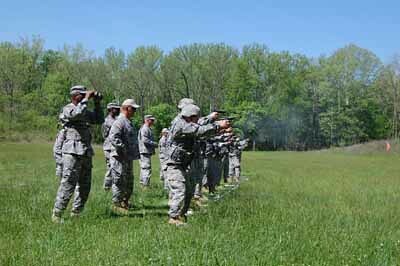 This program began in the 1870’s and Army Marksmanship records show that since then only 3,395 Soldiers have earned the Distinguished Rifleman, 1,689 members have earned the Distinguished Pistol Shot badge and 499 have earned both.